Plaintiffs called their final witnesses in Vergara v California today, putting on the stand two experts who offered testimony designed to show negative consequences of the state statutes under challenge. It’s a case that could overhaul major parts of state laws that govern teacher dismissal and tenure opportunities. Frank Fekete, a lawyer from Redondo Beach who specializes in education law, walked the court through teacher dismissal laws that the nine student-plaintiffs are contending deny many California public school students a quality education. The state laws are not the problem, say the defendants — the California Teachers Association (CTA), the California Federation of Teachers (CFT) and the state — who are expected to call their first witness on Thursday. They have been countering that well-run, well-organized schools and districts have the ability to get rid of the ineffective teachers who the plaintiffs say are protected by the current state laws. Under questioning from plaintiffs’ attorney Marcellus McRae, Fekete described difficulties that school districts face in going through the dismissal process, including the need to build a long evidentiary record and dedicate the time and money to see through a process than can take years. When asked to estimate the average cost for seeking dismissal of teachers for unsatisfactory performance, Fekete said $100,000 to $200,000, a more modest estimate than the one offered by the plaintiffs’ first witness, LA Unified Superintendent John Deasy, who told the court three weeks ago it can cost as much as $450,000. Fekete testified that given the costs involved and school districts’ finite resources, administrators can only go after “the worst of the worst.” As a result, he said, districts become discouraged from pursuing more cases. “It all results in districts being extremely reluctant to fire grossly ineffective teachers,” he said, making a point at the heart of the plaintiffs’ case. Fekete told the court that he believed the CPC panels, which are comprised of two educators and an administrative law judge, often have a bias in favor of the teachers and that the panel’s decision are often difficult to rebut. Based on his review, Fekete testified that districts had brought 36 cases for unsatisfactory performance between 2003 and 2013, with 22 leading to dismissal. He characterized that as a low success rate and one that demonstrates how districts only go after the worst cases because of the time, effort and cost involved. Defense attorneys tried hard to disqualify Fekete as an expert witness, asking questions that suggested he was little more than a “megaphone” for positions of others and that he had not taken a recent case through the CPC process. Later, on cross-examination, Supervising State Attorney Susan Carson, returned to the same themes, questioning Fekete about his depth of his experience. When she asked him about the number of cases he’s handled before the CPC involving unsatisfactory performance, Fekete testified he couldn’t exactly recall “maybe five or six.” Carson then asked about his testimony regarding CPC bias towards teachers. Earlier in the day, Sandi Jacobs, Vice President and Managing Director for State Policy for the National Council on Teacher Quality, a research organization, described the Council’s analysis of California teacher policies and how they compare with other states. Basing all her testimony on the Council’s most recent annual report, the 2013 State Teacher Policy Yearbook, Ms. Jacobs gave California poor marks on its teacher tenure, dismissal and layoffs policies, with an overall grade of D+. Regarding the timeframe for conferring teacher tenure, Jacobs testified “California law is worse for students” when compared with the laws in most other states. She said California was one of only five states that made such decisions within two years, and only one state — Mississippi — did it within one year. She told the court NCTQ recommends four-to-five years before granting tenure. According to Jacobs, California didn’t fare much better on its seniority-based layoff policy, know as last-in, first-out. Pointing to another finding in the report, she explained that California is one of 10 states where seniority “must be considered” while another 20 say seniority “”cannot be sole factor” in teacher layoffs. Jacobs then conceded that, yes, California was consistent with the majority of states. 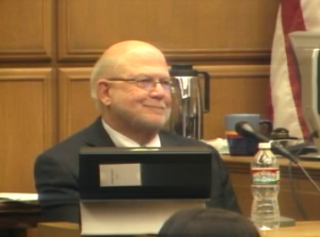 Previous Posts: Vergara witness says schools can deal with teacher ineffectiveness; Defendants tried hard to undermine an expert in the Vergara trial; Vergara sisters recall the teachers who inspired them to sue.